Rejoice, hockey fans. Hockey season is fast approaching. That’s music to the ears of the Boston Bruins faithful. Those who have kept the black and gold sweaters in hiding for several months are preparing to break them out as we sit only a month from Opening Night at the TD Garden. An offseason of change is rapidly winding down as several new faces await their opportunity to take to the Garden ice on October 8. Gone are Milan Lucic, Reilly Smith and Dougie Hamilton. In are Matt Beleskey and Jimmy Hayes, among others. However, these big names do not entirely dominate the headlines. Several positional battles should be met with intrigue from Bruins fans as well. Roster spots are there for the taking in a few different areas. As training camp is set to open next week, here are some positional competitions to watch. Niklas Svedberg (7-5-1, 2.33 GAA, .918 save percentage) performed well in a backup role to franchise goaltender Tuukka Rask last season. The only problem was that the Finn was called upon a team-record 70 times last season and showed signs of fatigue when the team needed to raise its game the most. With Svedberg’s departure for the KHL, there is a vacancy that needs to be filled. Earlier this summer, I handicapped the chances for the respective candidates in Malcolm Subban, Jeremy Smith and Zane McIntyre. Add former Detroit goalie Jonas Gustavsson to the mix as he will attend training camp on a professional tryout. “The Monster” has spent the last three years in the Motor City and has 148 games of NHL experience over six seasons. That is approximately 147.5 more games than his three combatants combined. Subban lasted just 31 minutes in his NHL debut against St. Louis back in February, allowing three goals on six shots. McIntyre is the wild card. 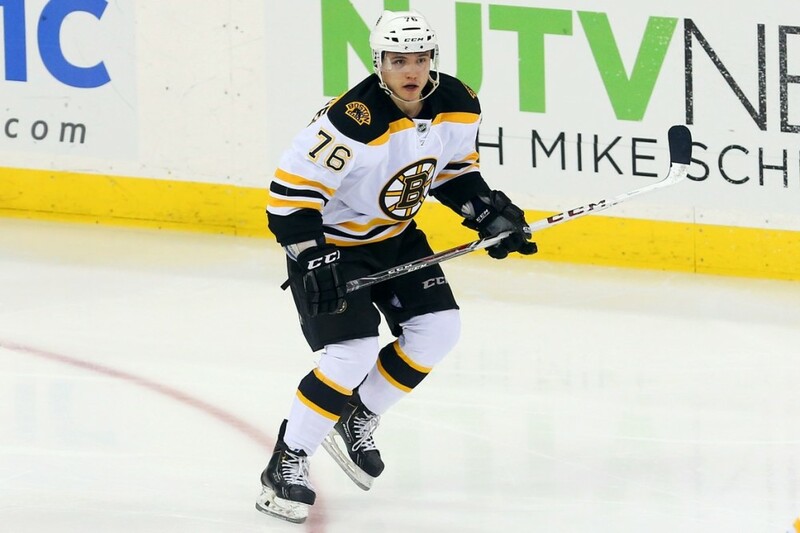 A sixth-round pick in 2010, he’s coming off a season at North Dakota that made him a Hobey Baker Finalist and earned him an entry-level deal with the Bruins. The 6’1 netminder is looking to ride the wave he created in college to a job in the NHL. It bears watching to see what all four men can do in the preseason as all of them are bound to see some game action. The defense corps is the Achilles heel of the Bruins. Hamilton’s trade has really left a gaping hole on the blue line in terms of size and offensive ability. So why talk about the last spot on the defensive rotation? Well, four players have a legitimate chance to claim that opening night roster spot as their own. Joe Morrow, Kevan Miller, Matt Irwin and Colin Miller are the contenders to round out the defense corps. Last month, I gave an in-depth look at what each player brings to the table. 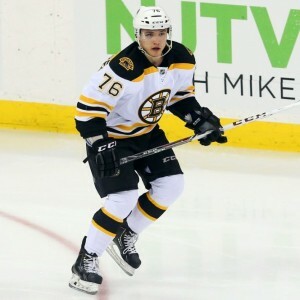 Morrow has the offensive upside Boston is looking to replace while Kevan Miller brings the sandpaper grit and physicality associated with the “Big Bad Bruins” moniker. Irwin and Colin Miller are the new kids on the block. The 6’2 Irwin finished last season strong in San Jose recording 13 points in 30 games with a plus-13 rating. He’ll come in with confidence and aim to prove his worth. As for the former Manchester Monarch, Colin Miller was second amongst AHL defensemen in scoring (19-32–51) and won the fastest skater competition at the All-Star Game. Hockey’s Future has him projected as “an effective lower pairing defenseman”, which is what the Bruins need at this juncture. Even though they may all see playing time this season, only one can get a spot on opening night. Who will it be? The fourth line of the Bruins is in need of an overhaul. Gregory Campbell and Daniel Paille are gone to greener pastures while questions have been raised about what role forwards 10, 11 and 12 will play on the roster. A lot of it depends on who the center will be. The favorite might be top prospect Alexander Khoklachev. The second-round pick in 2011 has fared well in his two-plus seasons in Providence scoring 103 points in 137 games and was recently named Boston’s top prospect according to Corey Pronman of ESPN. It appears Koko may finally earn a permanent place on the roster after toiling away in the minors but he will have to earn it. It will be Kemppainen’s first season in North America after spending his entire career playing in the Finnish Elite League. Chris Kelly is also another candidate to slide back into his natural position but it may be a bad look to be paying $3 million dollars for a fourth-liner of any kind. It sets up to be a fascinating training camp for a Bruins franchise that had an active and, at times, unpredictable offseason.